This plugins adds a code overview/outline for the current editor. 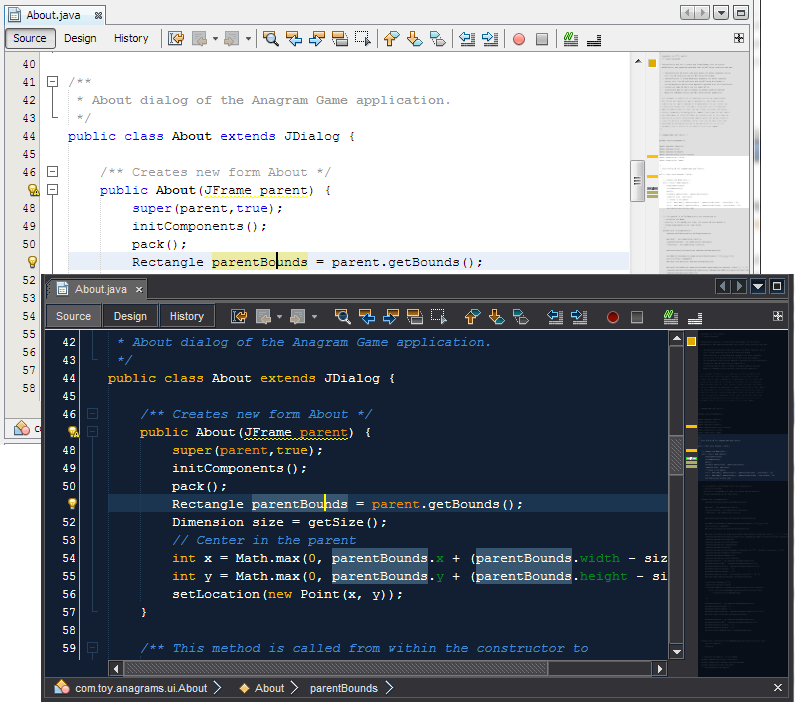 Compatible to NetBeans 8.0+ and JDK7+. Is there a way to change the background color? If the background color of the editor is black the highlight of the plugin is almost invisible. The 1.3.2 update indeed got the plugin working again for version 8.2 Thank you!